The Pine Strawberry Arts and Crafts Guild is a non-profit organization dedicated to promoting the appreciation of fine arts and quality crafts by providing a venue for displaying and selling original creations in a friendly small-town atmosphere. 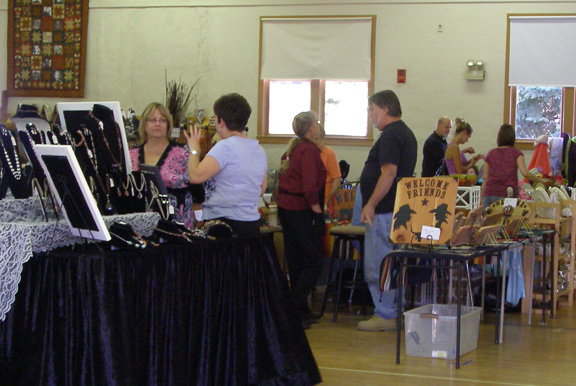 They are a small group of dedicated volunteers who organize three festivals each year at the Community Center in Pine. The festivals are on Saturday and Sunday on Memorial Day Weekend, the weekend nearest July 4th, and on Labor Day weekend. All applicants who wish to have a booth must submit pictures of their products for evaluation by the jury committee. Those who are accepted pay a very reasonable fee for the booth space. There is also a boutique in the Arts & Crafts Room where members only may show their talents in a shared space. 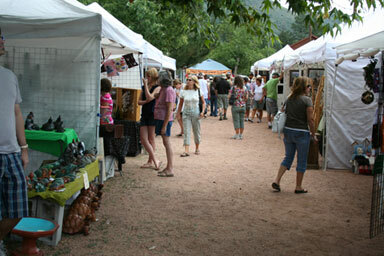 Attracting tourists, customers, artists and crafters to the festivals not only benefit’s the Guild but is a benefit to local businesses, restaurants, cabins/motels, and other organizations. For applications to have a booth space, contact Gail Jones by phone at (928) 978-0469 , or by e-mail at coolpc680@hotmail.com. To help make the festivals a great success, join the group. Meetings are at 9:00 am on the last Friday of the month, except November and December, at the Pine Community Center, in the Arts & Crafts Room (Between the Thrift Shop and the Senior Dining Room).